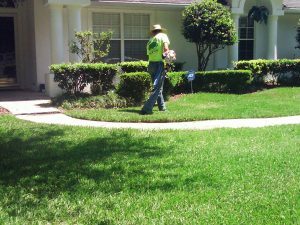 Is your lawn fresh enough for spring? Mr. Tree and Lawn Service can help! By the time we’re through with your yard, it will be trimmed, pressed, and ready to impress. Does your yard require more involved services like removing dangerous trees, grinding tree stumps, and removing storm-damaged tree limbs? Mr. Tree has over 10 years of experience in commercial and residential tree services in Gainesville. We can take care of problem trees while we beautify the rest of your lawn. Call today and ask about our introductory pricing for new customers.